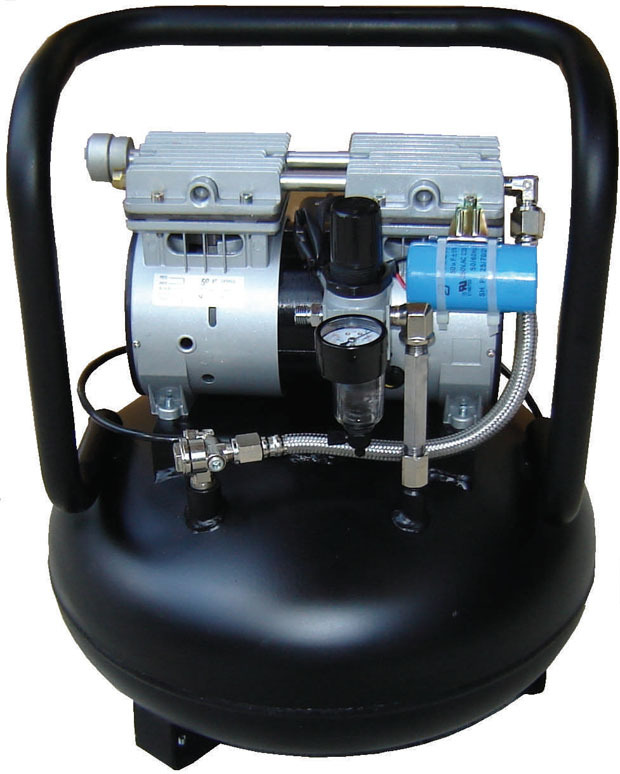 Dimensions: 16" x 16" x 21"
To broaden the scope of Silentaire compressor applications, the company has developed a special line of quiet oilless compressors. These are designed to provide powerful, silent operation, all while delivering clean oil-free air. Like this Silentaire AMP 50-24 Compressor. More than that, buying a Silentaire compressor you will receive a lifetime support from the manufacturer for your new air compressor. So, at their service facility located in Houston, specialists from Silentaire Technology are always ready to help you with any troubles concerning your Silentaire compressor and provide you with sufficient information about their products. As one of the Silentaire compressors, the AMP 50-24 stands out for its highly reliable and trouble-free operation. Besides, this compressor model comes at the most economical price while giving excellent performance and superior quality of the medium's application. Furthermore, the Silentaire AMP 50-24 Oil-Free Compressor has at its disposal a clean air system. Apart from clean air and continuous spraying, this also prevents the compressor from clogging and overheating. In addition to everything else, the manufacturer will repair and replace any part of the compressor free of charge within one year of purchase. But only under the condition that its authorized personnel finds a part as defective. Here, it's also important to note that tampering or bad usage will make the guarantee invalid.